Hello all. Trying to get myself back on the blogging wagon, so bear with me. I wanted to share some moments from the kite festival at Zilker Park here in Austin TX from a few weekends ago. It's amazing how many awesome stuff I capture just from bringing my camera out of its brief retirement. Lately I've been leaving it at home since I ride my bike everywhere, so I gotta lighten my load. Hopefully that will change because springtime always inspires me to take more pics. More on that later. Let's get to the kites. 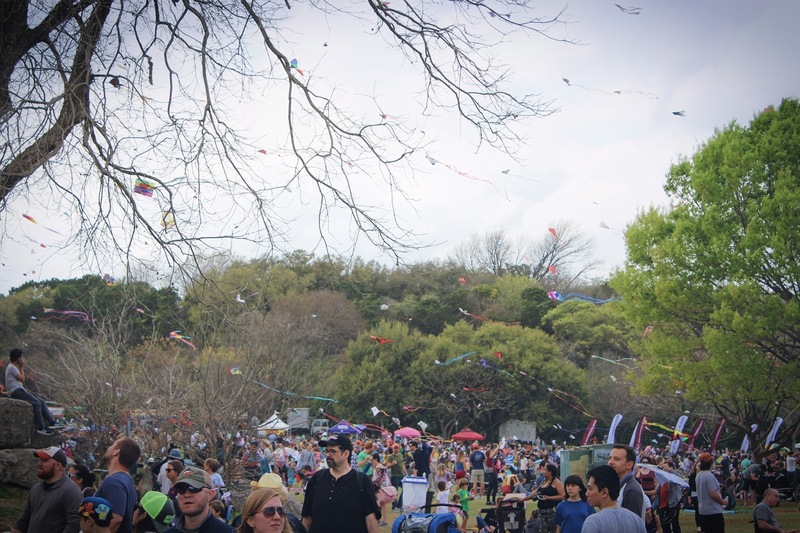 It always astounds me how many people can fit in Zilker Park, here in Austin. There are so many bodies for such a "small town". 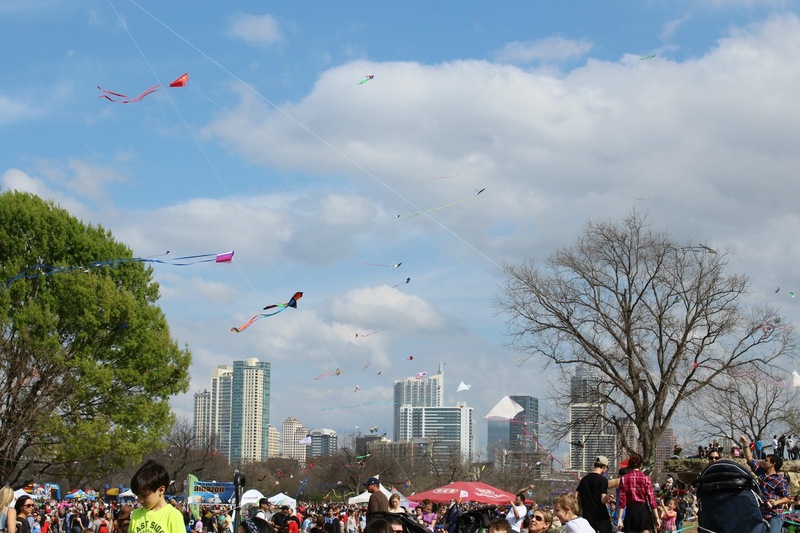 Luckily Austin can get pretty windy & it happened to be the perfect windiness for flying kites that day. Everyone & their mother, as well as their mother's mother (& so on) gathered to partake in the event. 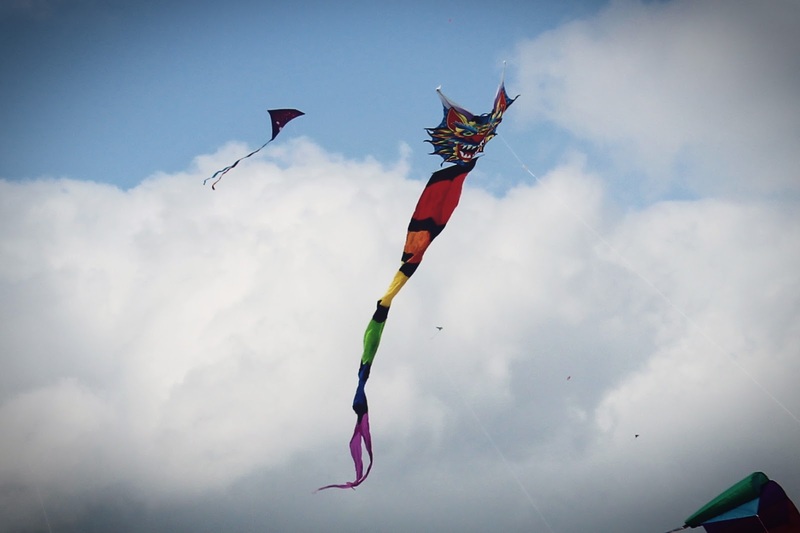 I had a blast picking out my favorite kites, which were usually the colorful, crazy ones. It was quite impressive to see the ones flying hundreds of feet up above, posing as a reminder of how infinite the sky is. 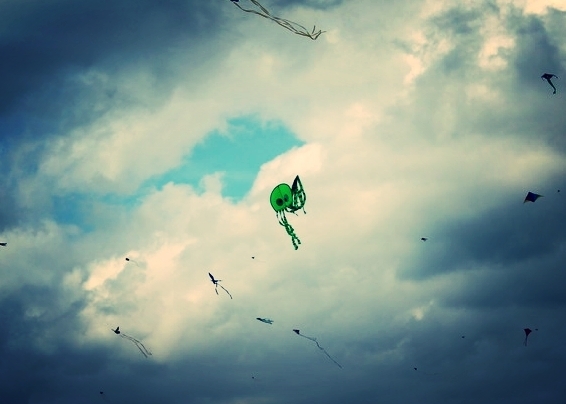 It was nostalgic seeing everyone determined to keep their kite afloat. It reminded me of a long time ago when we would attempt to make our own kites using sticks & string. I love to live in a city that has fun events like these. From time to time I get fed up with the crowds of people that seem to fill the once-open spaces, but then I feel thankful that everyone is coexisting happily, which is how it should be.